I figured it was time to start a new project since lawd knows I don’t have enough to do. This one is pretty important, though, and I hope you’ll check out my social media pages so that you, too, can follow along. When I started in the jewelry industry I was twenty-three-years old. I was the epitome of a Gen-‘X’er and could have really used some guidance, or even a kind word to help me along as I explored an industry I knew little about. I had no real mentors and no real training but I knew I was loving what I was doing, and that’s what kept me going and keeps me going today. 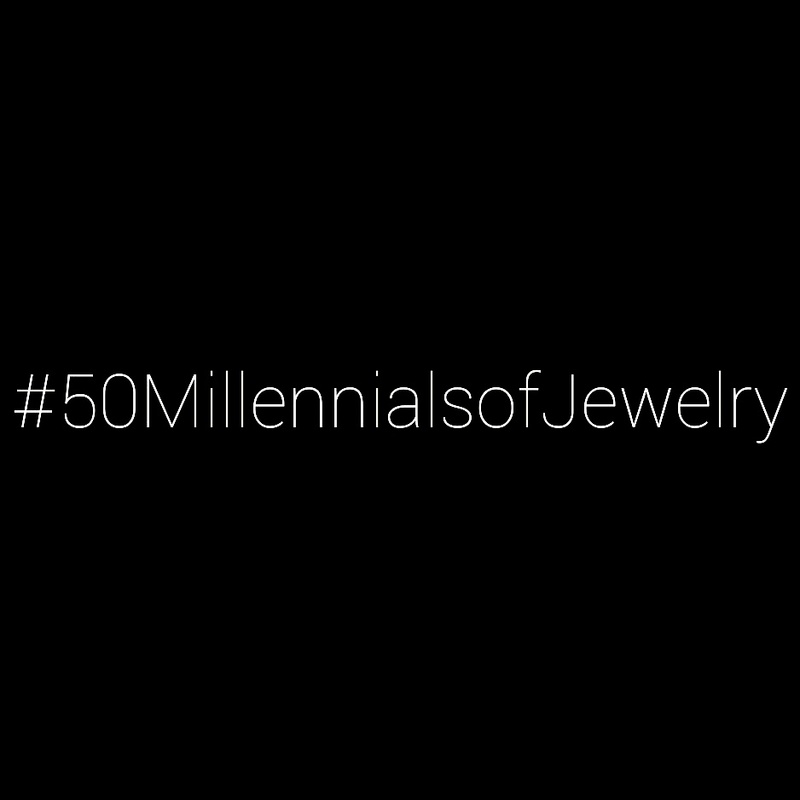 There are a plethora of Gen-“Y”ers in the jewelry business right now who have tremendous talent, are armed with education and experience, and who are as passionate as anyone who has been in the industry twice as long. In this latest series I’ll be highlighting one young person every day for fifty days who is making waves/standing out/working hard/following their passions. This is my way of saying, “you’re doing great, and you’re getting noticed” which I know, first hand, can make all the difference in the world to someone. Please know that even though the list will comprise fifty women and fifty men, that doesn’t mean that there aren’t others who are just as awesome in this biz, and as always, I welcome anyone’s opinions about it, as well as anyone’s recommendations for it as there are some spaces left to fill. I can be reached by email (adornmentality@gmail.com) if you feel the need to reach out. So, enjoy. I’ll be mixing in some stats about Millennials throughout the series, so maybe we’ll all learn a little something by the end. Awesome! It does sometimes feel strange to be a youngin in the jewelry biz.